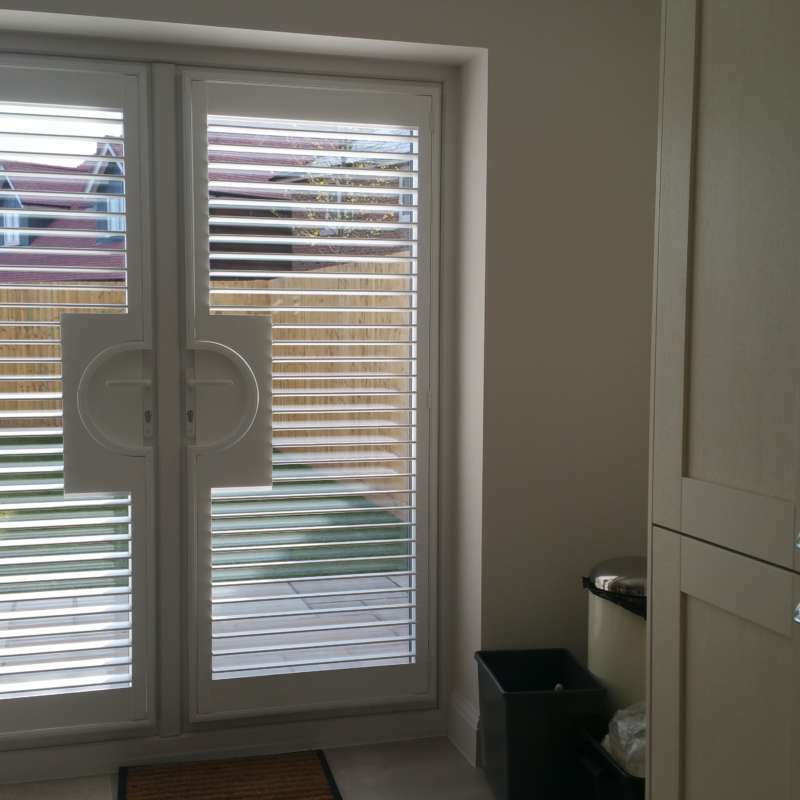 ﻿ Patio Door & French Window Shutters… | The Great Shutter Co.
How you cover French or Patio Doors with a window dressing has always been a problem. The days of a beaded curtain hanging in front of the patio door, swinging in the wind, tangling in your hair or catching on your clothes are long gone. 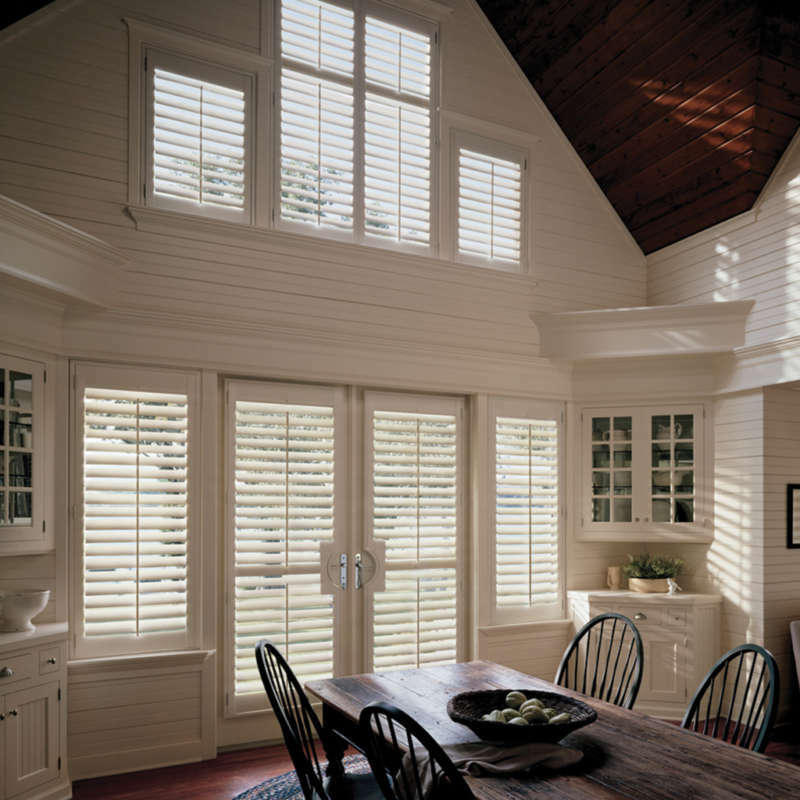 A French or Patio Door Shutter alleviates all of these problems and more. What are the benefits of a French or Patio door shutter? The ingenious elements of French or Patio door shutters are that they are physically attached to the door. Normally these doors, with their expanses of glass, have been an issue when it comes to controlling heat or privacy levels in rooms such as kitchens. 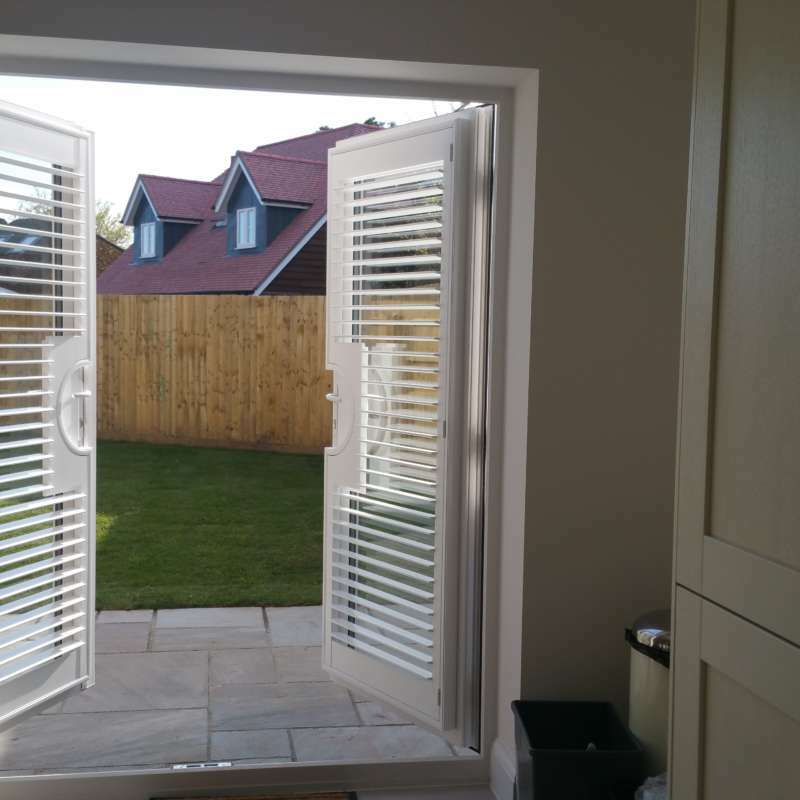 By attaching a louvered shutter to the door you are now able to control privacy and light and also not have the inconvenience of a cover the flaps around in the wind when the door is open. How do French or patio door shutters work? French or patio door shutters work by attaching a low profile frame to the door and then the shutter panel is set into the frame. If you choose one of the much larger sizes of louver the you may need a slightly larger profile frame but again we will guide you through this. The frame is designed in such a way that it actually has a cut out so that it does not interfere with your door furniture. You can have this cut-out around your door handles in curved or straight line style. 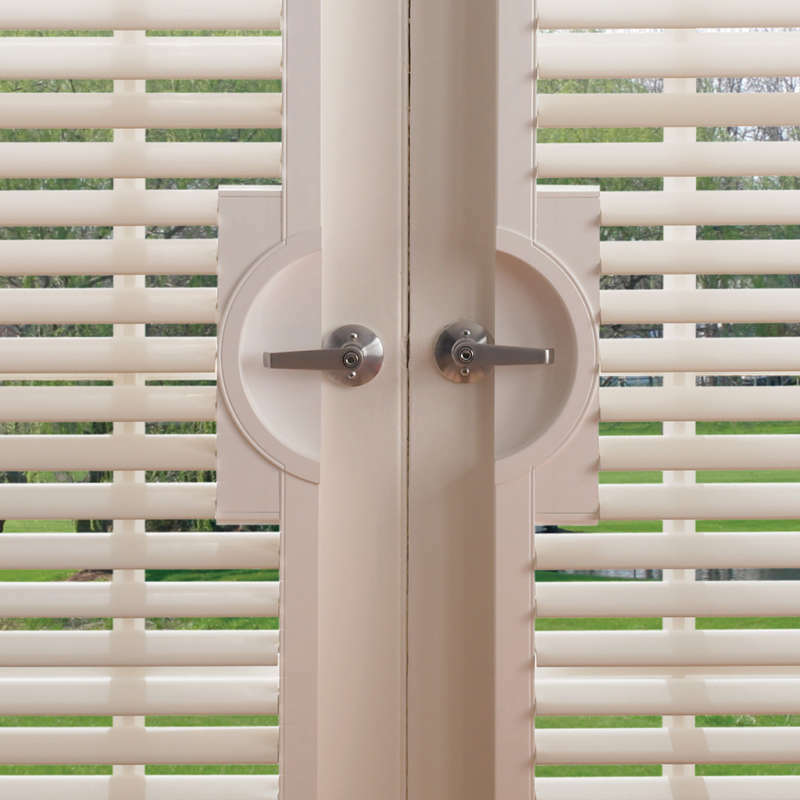 You simply operate the louvers as you would on a regular window via the tilt rod and should you wish to split the louvered sections into two you can simply add a mid-rail (see our shutter terminology page) or a split tilt. There is no need to worry about cleaning the glass either as the panel is hinged to the frame and so simply pops open so that the glass can be cleaned. 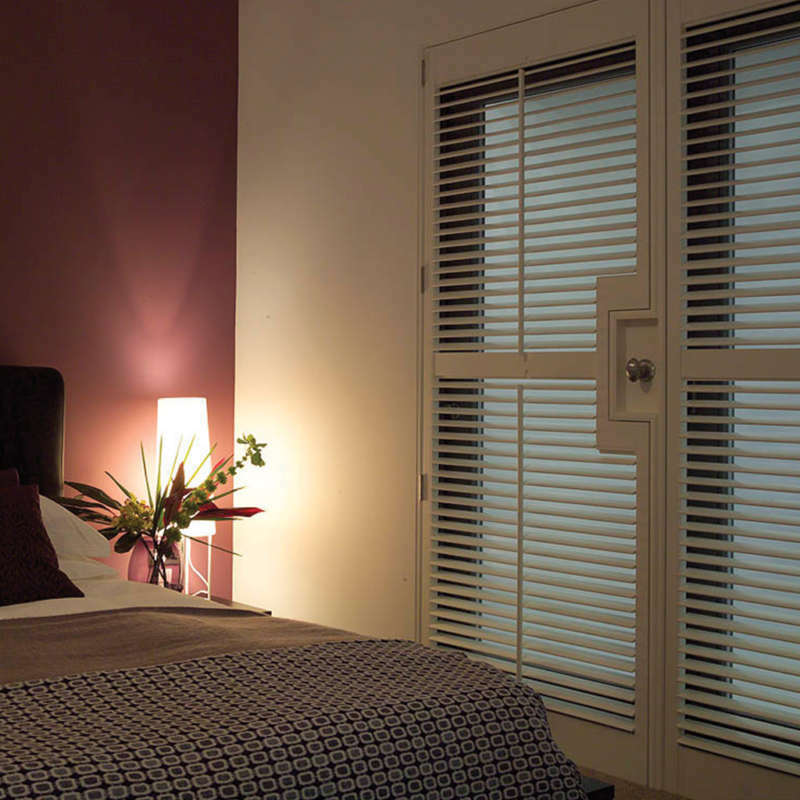 Creating a uniform look with French or patio door shutters. Another issue is that quite often the window dressing you have chosen for your windows is not the one that would suite your French or patio doors. 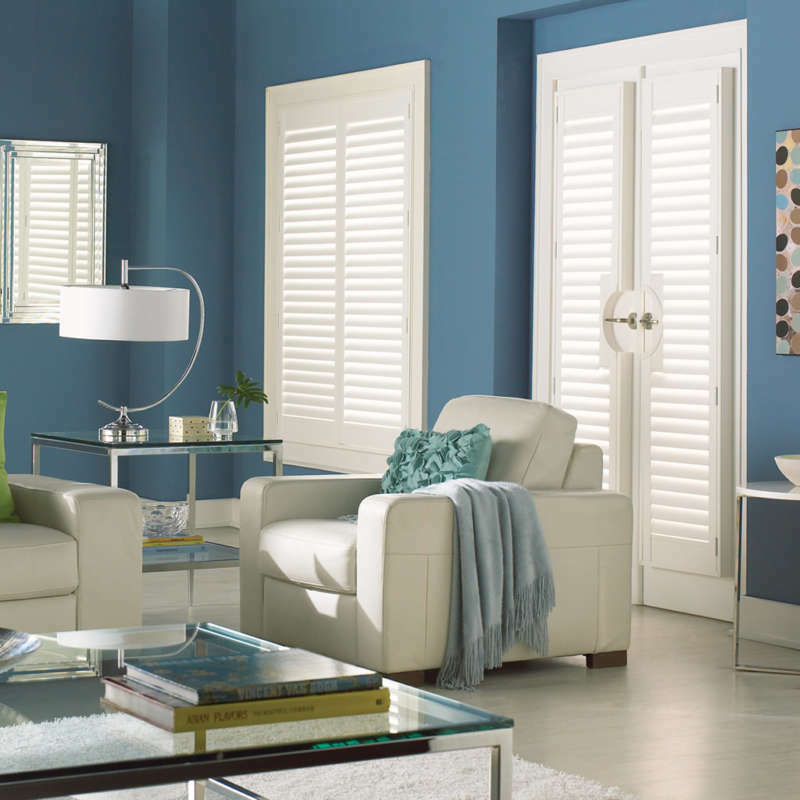 Shutters are the ideal solution as you can dress the windows either side, for example, with shutters so that you can achieve a uniform look in the room. This is a stunning effect that can really set of your new designer kitchen or give a room a real lift.